He also points out how our great US Military is becoming Islamified, and fighting in the name of Islam. I know that is a harsh reality, but building Islamic countries is fighting for Islam. That is the sad reality of the US government. Fighting in the name of the enemy. And the day came when the risk to remain tight in a bud was more painful than the risk it took to blossom. The Mujahideen of America in US Uniform. How beautiful the honored soldiers of the Caliphate, finally men wear manly beards again and fulfill their true nature. Honored like the great armies lead by Sallahuddin Ayubi, their eyes have been opened to the fact that Christianity itself is Anti-Christ, they associate partners with God which is an unforgivable sin, Jesus peace be upon him is not God for God is not man and does not pray but Jesus prayed to God, God rejects that others be worshiped beside Him. Islamic Monotheism is true Monotheism, Christianity is Idolism of Immoral, Half Naked, men on crosses, each with differing features and even if there had been one of these it is still Idolism of a naked statue supposedly depicting Jesus the Slave of Allah. Islam is the only true religion. 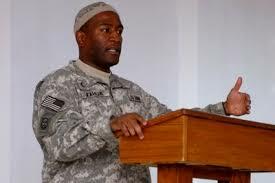 The US Armed Forces are inclined to Islam because it is the truth, they shall no longer waste their lives for the Laws of men but sacrifice themselves for the sake of Allah, their hearts embrace the truth that there is no other God besides Allah, the One, The Immortal, The Incomparable, Creator of everything that exists. Their eyes have been opened to the lies of US Corporate Media outlets, America is going through an internal revolution and the people are willfully embracing Islam. Islam has brought honor and dignity to America. It is clear the US Military is slowing becoming Islamified, and while ACT!’s Brigitte Gabriel supports Muslims in the US Military, we here at North American Infidels (NAI) do not. 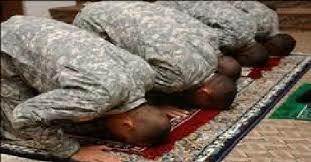 In order to win this war we need leaders who will not bow down to the enemy ideology of Islam in anyway. 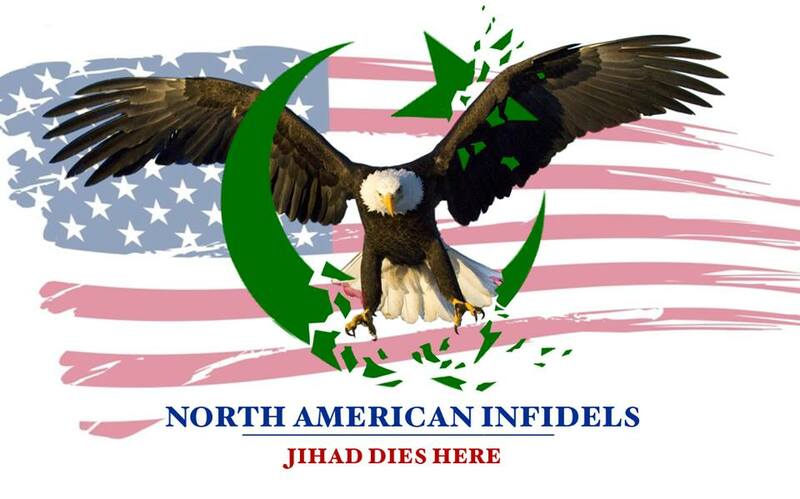 Please join North American Infidels today! You can do so, by clicking HERE. Islam is polytheist? Ha ha! Says the idolators who turns and bows down to a piece of black rock five times a day! Yer post is illegal in Great Britain, under its hate speech laws, You can be persecuted for uttering and publishing a threat, at minimum. Pure hatred shines through, couched in coarse language that exposes a lack of intellect. A few hundred Brits are going to exterminate 1.2 billion Muslims?? Yeah, right. You accomplish no more than stacking the deck with victim cards for Muslims to play. You are telling fibs mr faarooq or you do not know what you taking about. What kind of attributes would Muhammad need in order to hear these prayers? , muslims loyalty will always be to Islam first. First, over a year ago he objected to participating in any war in any Muslim country, … Every Muslim is loyal only to Islam, Quran, ummah and Mo/allah and nothing …. As the proportion of Muzlims in the army grows, there will be more mutinies … Why would countries like Iran take the US army seriously then? So let’s understand this – Faarooq, a devout muslim, insults every Christian in America, calling Christianity Anti-Christ. His offensive remarks are tantamount to hate speech. Yet when talk about the radicalism of islam and there is no separation of Church and State or question Islam’s denial of Jesus Christ being the Son of God (Chapter 25 Verse 2 – Allah has no son), non-muslims are accused of being islamophobic? So it’s ok for a Fundamental Muslim to demean Christianity and the US Military does nothing to rein in this Islamic intolerance? Unfortunately that about sums it up buddy. Islam is a one-way street. Anti-Christ? So many people claim to know who this is. Personally I’ve always thought that it is the British ex Prime Minister who deliberately flooded the UK with Muslim immigrants as a jolly jape. Not so funny for the families of the two innocent people beheaded by Muslims a year or so ago. Lee Rigby in a London street in daylight and an 18year old girl in Sheffield. While our National Health Service is collapsing due to having to provide medical care for large Muslim families, ‘modesty’ burkas for Muslim women being treated and nurses to turn beds to Mecca for prayers, non-Muslims find it difficult to get a GP appointment, let alone see a consultant or get a scan. Americans, keep your private medical insurance and don’t get an NHS. At least with insurance you only pay for yourself. Anyone destroying the non-Muslim culture is the Anti-Christ in my opinion.